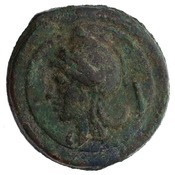 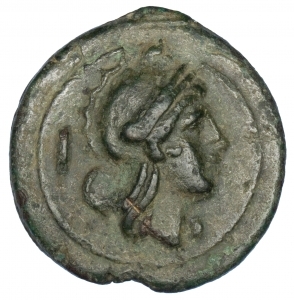 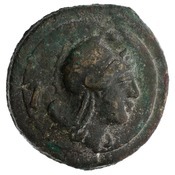 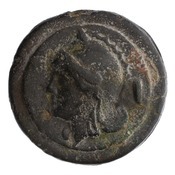 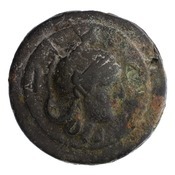 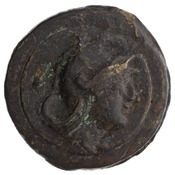 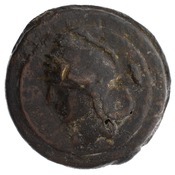 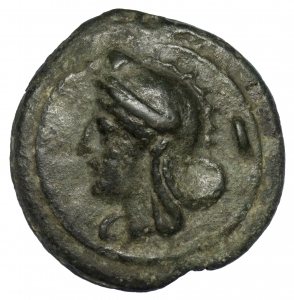 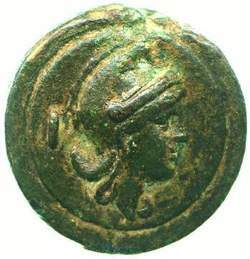 Type: Head of Roma wearing Phrygian helmet, left; behind, denominational mark. 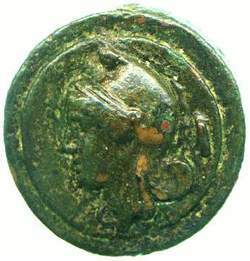 Röm. 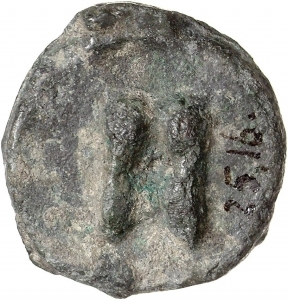 Republik: Aes Grave, Romakopfserie, 269-266 v. Chr.